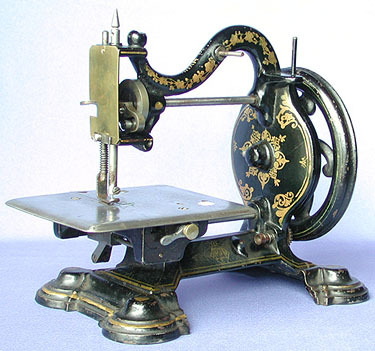 antique sewing machine - The Cheltenham. Very little is known about the Cheltenham lockstitch. The design characteristics would suggest it was produced around 1870 by one of the Birmingham concerns that made variants of their own models for trade customers who placed substantial orders.